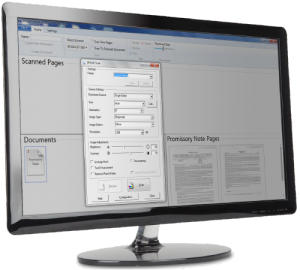 Core Document Imaging Software | Automated Systems, Inc. The Insite Document Imaging module is an excellent utility to manage your documents and gain instant access to the crucial information they contain. This powerful module offers instantaneous access to imaged documents within the Insite Banking Inquiry application. Insite Document Imaging is specifically designed for the scanning of bank documents and placing them effortlessly into a secured, easily viewable window, right within the Insite Banking software. Users can file, retrieve, print, fax, or distribute documents with the click of a mouse. The Insite Document Imaging module can even display a picture of the customer and/or a signature line when the user accesses a customer’s account. Documents are an integral part of your banking business. Our imaging software enables data intensive organizations to economically and reliably store critical business information in an easily-retrievable method. A document imaging system has much more security access controls than your filing cabinets. Your employees cannot access a document unless they have access rights – no exception. This module transforms the process of document archival and retrieval from a frustrating time and money consumer to a valuable source of efficiency and improved customer satisfaction. Improved customer service in handling phone inquiries, correspondence, or customer “waiting” time. Automation of documents in the work-flow cycle reduces liability associated with lost, misfiled, or unsecured documents. Improved disaster/recovery planning (all images will be backed up with the daily system backup and hard-copies can be kept off site). Improved management controls to measure and track document status. Reduced financial risk by easily identifying customers and signatures at the most critical point in time – when the customer is at the teller window. Ability to remotely access centralized signatures and supporting documents.